Birds & More | Welcome to The Bird Lover's Store! 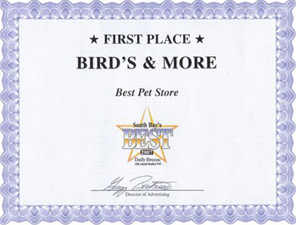 Birds & More is located in Lawndale, California. 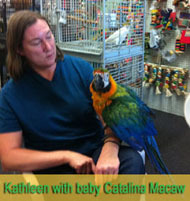 We specialize in exotic birds, hand raised babies, grooming, nutrition, birdie day care and behavioral consultations. We also carry a full line of supplies for your feathery children. 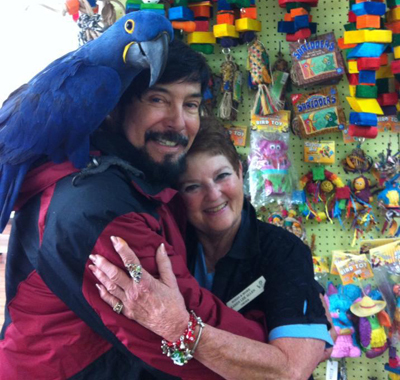 Karen Allen, "The Parrot Lady" ™, is the owner of Birds & More and has been involved with birds for over 30 years. 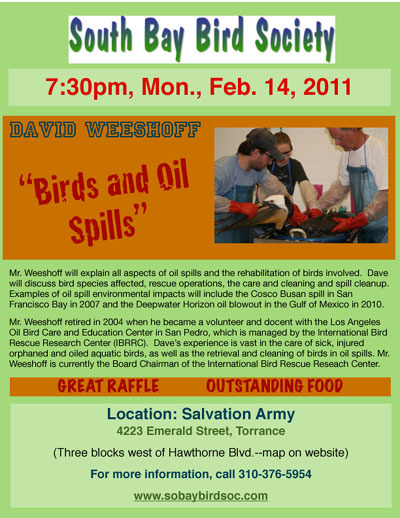 She is a regular contributor to "Vet Talk" a column written especially for you the bird owner. She is also a Certified Avian Specialist (CAS) of the Pet Industry Joint Advisory Council. Email in your questions and Karen will be sure to answer. Come browse awhile and visit often as we are constantly updating valuable information to make the new bird owner and the old pros alike have happy and healthy bird companions. 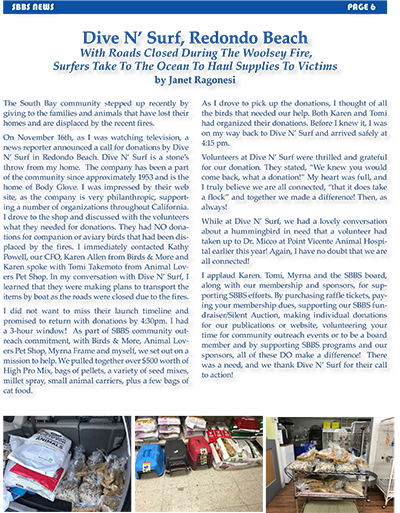 Click on article to download PDF! Raul Rodriguez came by to get Sebastian groomed by Karen for his Rose Parade 2013 appearance on the Dole float. Mr. Rodriguez designed the Dole float as well as several others as he does every year! 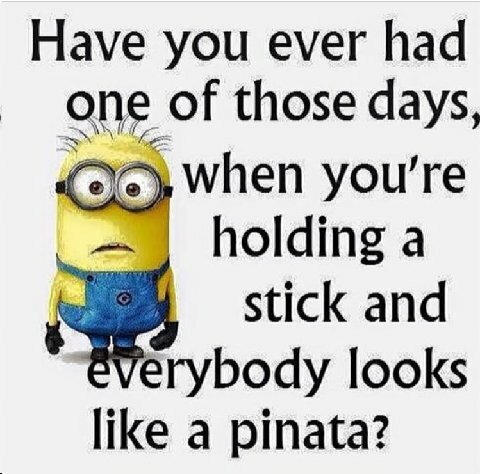 I do not understand how a person with any sense, can call me franticly, and tell me that their bird has not been breathing right for two weeks, and want to know what to do. Where in the hell were you two weeks ago when we had a chance to save your bird. (Pardon my language, or don't, I don't care). Please do not wait until it's too late, when your bird shows signs of illness of any kind call your avian veterinarian NOW! You know that birds mask their symptoms and when they finally do show you that they are ill it is time to move fast. Their natural instinct is to pretend wellness, in the wild if they show signs of weakness or illness the other birds in the flock will kill them and eat them to protect the rest of the flock from predators. There is no time to waste, no time to procrastinate, if you wish to save your bird's life you must move quickly. PLEASE, and if you are not willing to do so find a loving home for your bird, with someone financially able to care for it properly and get yourself a potted plant. A NationWide & Global network of Individual Foster Homes that will house, nurture and care for the dogs, cats, birds, horses and all other pets for all the Military personnel Only. Live so that you wouldn't be ashamed to sell the family parrot to the town Gossip. 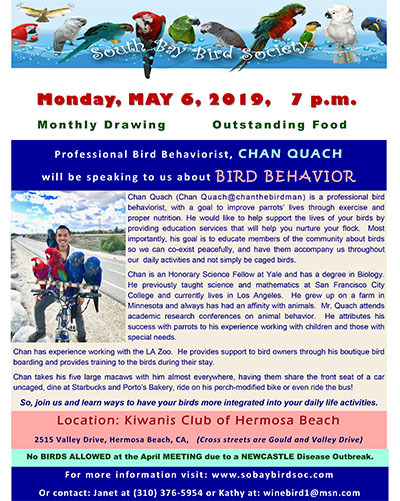 The Bird Whisperer and Shelby's Fund! STOLEN/LOST BIRD ALERTS & INFO on What to do!